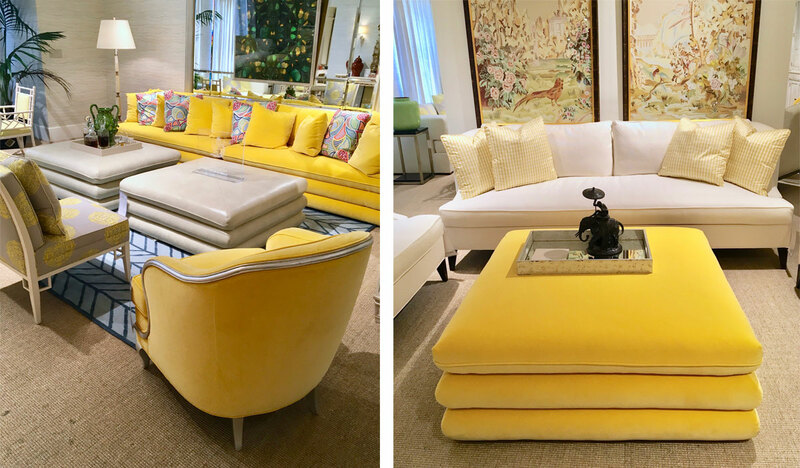 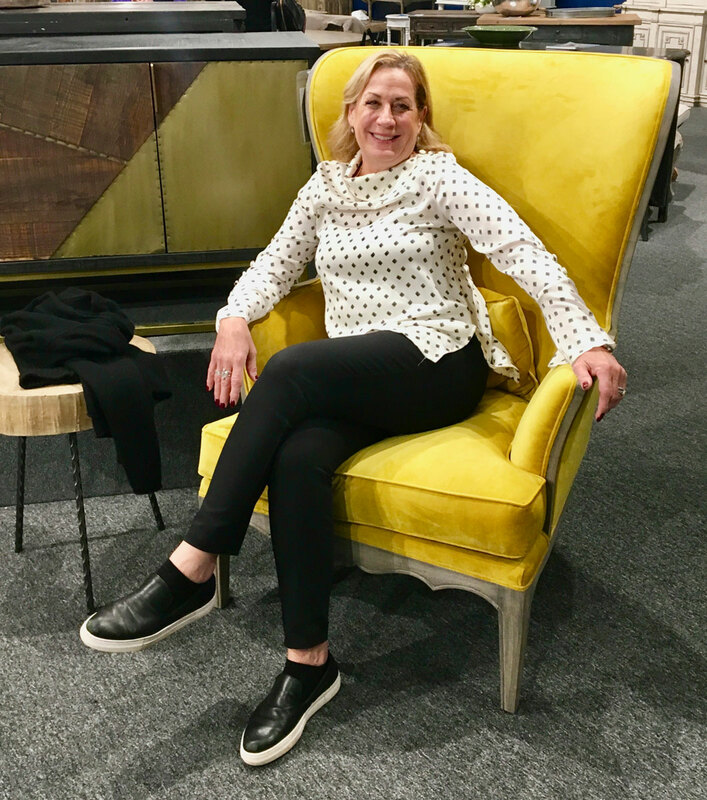 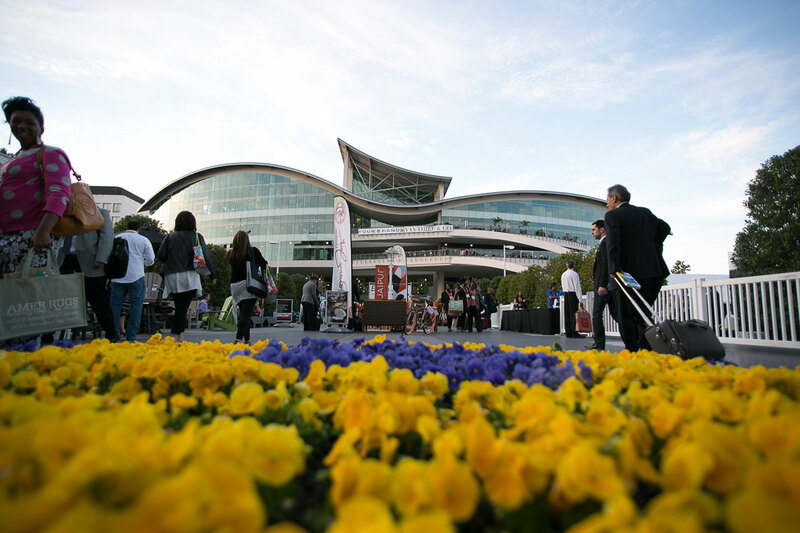 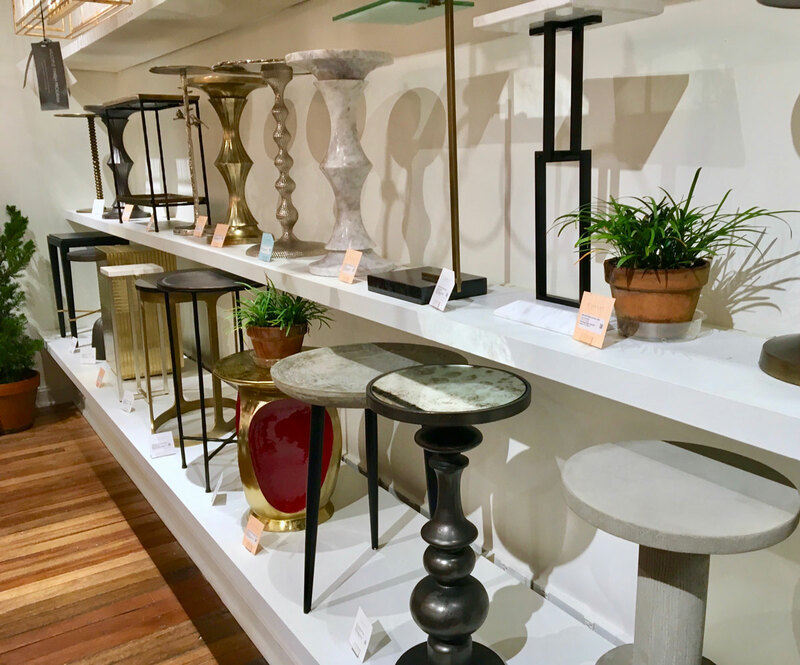 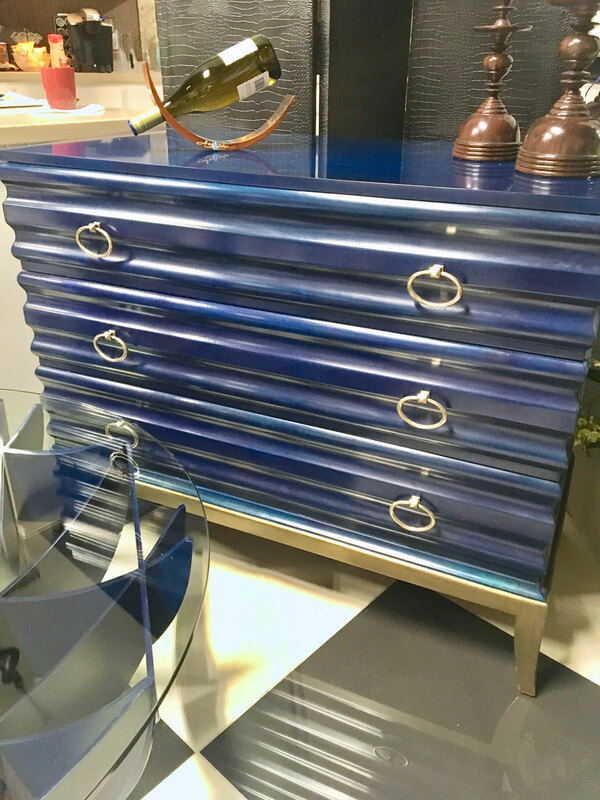 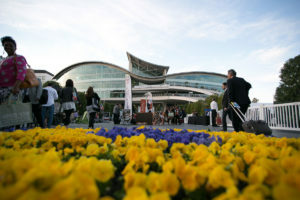 Market veteran Lori Levine, an ASID Associate and principal of Lori Levine Interiors in Basking Ridge, weighs in on her recent trip to High Point Market – from sensible shoes – to her three top picks or discoveries. 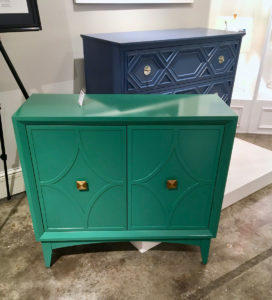 My first pick is not so much a product but a design trend. 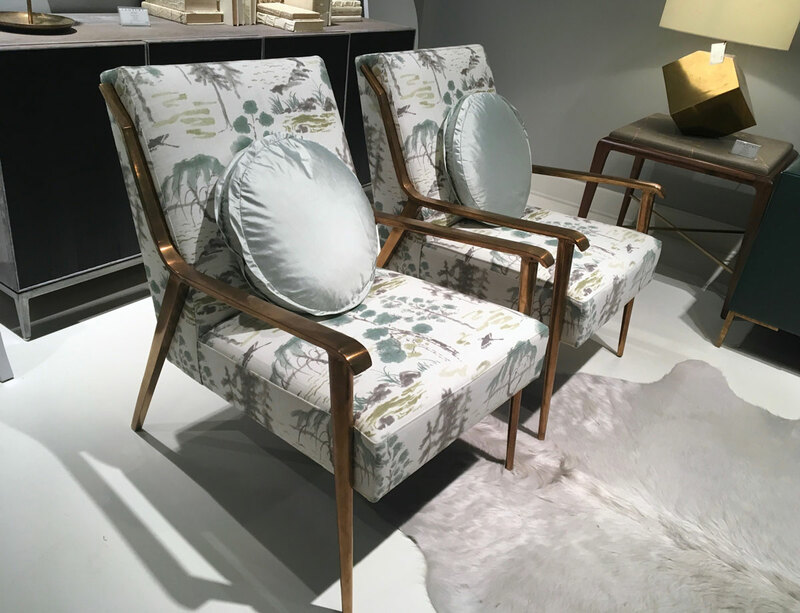 It seemed like every manufacturer had a version of this midcentury chair in either wood or metal. 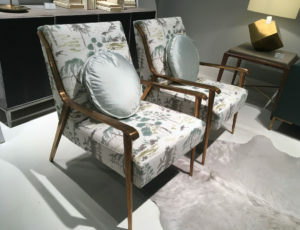 What I like about Century’s Zola armchair version is the sleekness of the metal and the brightness of the finish. In addition, fabricating furniture in metal incorporates another huge design trend. This has been a slow growing trend but now it seems as if it has exploded. It’s a great way to commit to use of color and there is no need to worry about wood finishes matching.